Your residential design specialist in Blowing Rock and the North Carolina Mountains. New custom homes or renovation/addition projects. 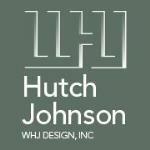 Specializing in Residential Design, Hutch's approach to any project is client-centered. He makes it a priority to listen to individual wants and needs, and finds a way to best incorporate them into an immensely creative, practical and aesthetically pleasing design.